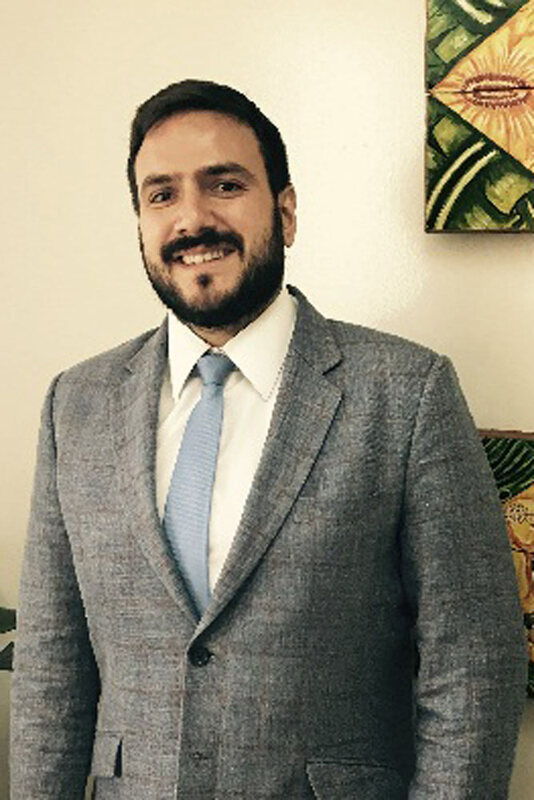 Serving in Bangkok since August 2014, Counsellor Flávio Bettarello is also Brazil’s Deputy Permanent Observer to the United Nations Economic and Social Commission for Asia and the Pacific. He was the Head of Trade Policy, Intellectual Property, Services, Transportation & Trilateral Cooperation (2010-13) and then Chief Strategy Officer (2013-14) at the Embassy of Brazil in Washington, D.C. In Brasilia, he was an Advisor to the Minister of Foreign Affairs (2008-10) and Assistant Coordinator General of Economic Affairs for South America, Central America and the Caribbean (2007-8). Dr. Bettarello is a Full Professor of Economics as well as former Chair and Head of Applied Economics at Instituto Rio Branco, the Brazilian diplomatic academy. He was a Visiting Fellow of the Institute of International Economic Law (IIEL) and a Visiting Scholar at the Georgetown University Law Center (2010-11). He has a PhD in Behavioral Sciences (University of Brasilia), a Masters in Diplomacy (Rio Branco Institute), a Bachelor of Laws (University of Sao Paulo) and a Bachelor of Business Administration (Getulio Vargas Foundation). He received graduate certificates from Johns Hopkins University, the London School of Economics and Political Sciences, New York University and University of California at Berkeley. He is a recipient of The Prime Minister’s Thai Tradition & Cultural Promotion Award (2016), the Rio Branco Award – Medal of Vermeil (2009), the Professor Ivan Pinto Dias Accounting, Finance and Control Award (2006) and the Goldman Sachs Global Leaders Award (2003). Before joining the Brazilian Foreign Service, he was a Private Equity Analyst at Blackstone Group (2003-5) and a Consultant at Booz, Allen, Hamilton (2005-6). The Brazil-Thailand Chamber of Commerce (TBCC) helps Thai companies wanting to expand their business through investments in Brazil; and also Brazilian companies wanting to expand their business in Asia and ASEAN through investments in Thailand.